One of the nice things about camping is getting away from it all. But, if you want to get away from other campers, North Davis Creek is the campground for you. Located about 56 miles southeast of Bend, this picturesque, secluded place is on the western arm of the Wickiup Reservoir. Sit back, enjoy the solitude, and do a little bird watching. Or, grab your pole and do some fishing from the shore of Wickiup Reservoir or in your boat. There is a boat launch area within North Davis Creek Campground, but in the fall it is not accessible due to low water levels. This campground consists of 14 sites, all fairly isolated from one another. Reservations are not taken, but the campground rarely fills up, even on summer holiday weekends like the Fourth of July. The per night, per site fee is $10 for the first vehicle and $5 for each additional vehicle. Vault toilets are available but there is no water service so plan to bring your own. North Davis Creek Campground is usually open early May through early September but check the website for current information. Please note that the campground sign is on the opposite side of the road from the campground. 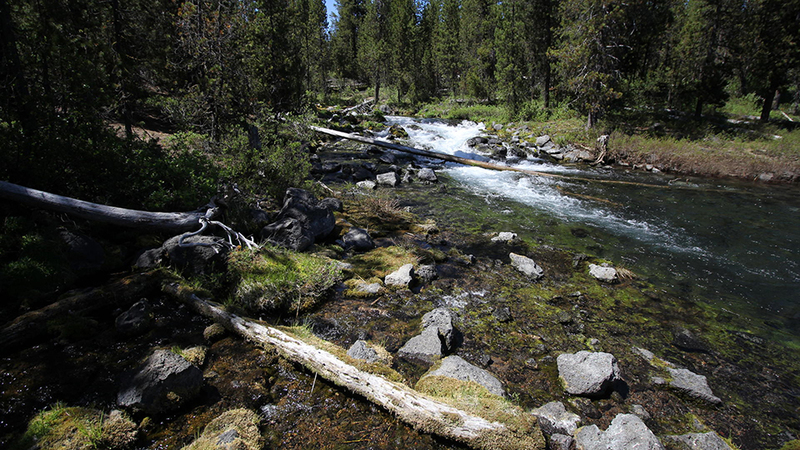 The area is on a creek going into Wickiup Lake on the east side of the Cascade Lake Hwy.